The United Nations’ primary objective is to resolve internal conflicts by deploying a group of ‘Peacekeepers’ in the conflict zone. They were first utilised in 1948 and since then there have been 68 UN peacekeeping operations around the globe involving tens of thousands of UN Police personnel and other UN Volunteers from 68 countries. 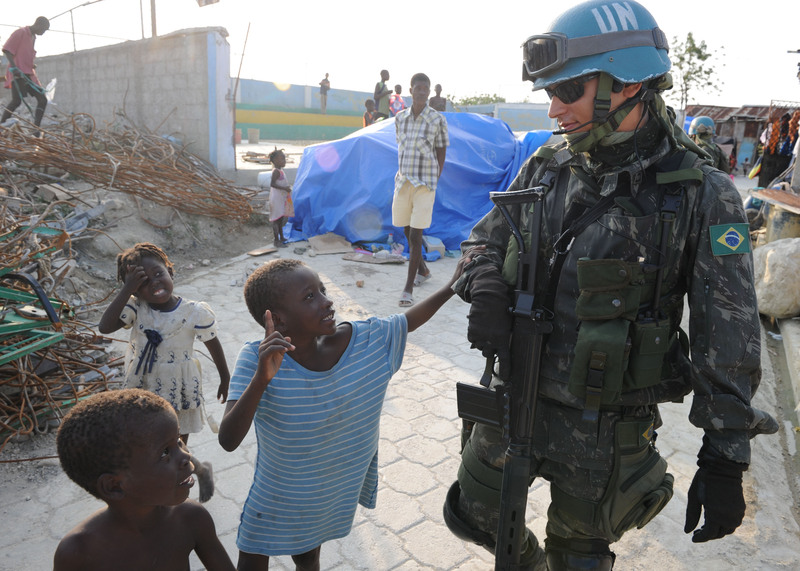 Today, there are 16 ongoing UN peacekeeping operations maintaining ‘peace and security’ across four continents. When deployed in an internal conflict, the UN Peacekeepers are tasked to maintain peace and security in the region, assist in stabilising the government, protect civilians, ensure disarmament within the nation and promote human rights. Before seeking help from UN Peacekeepers, the central government decides whether they are sufficiently equipped to handle the situation alone. During a civil war, the government of the nation feels responsible for their people, conflict or not, those who have been affected are given priority and those who haven’t are given maximum attention. The government also focuses its attention to the one creating chaos in the region, however during this time the most affected is the working capability of the government, but watching over “aggressive groups” is prioritised. Due to these factors, the government feels that directly or indirectly it is their responsibility to deal with the conflict, and seeking assistance from the UN, an international organisation which has no relation with the conflict is nothing but a breach of national integrity. 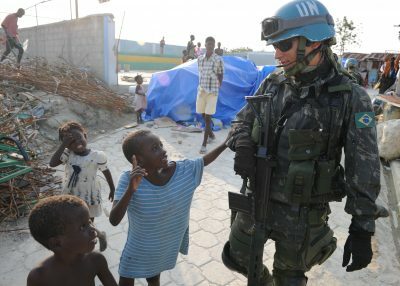 A recent study conducted by the United Nations Human Rights Council states that “many nations feel insecure while involving the UN in their internal conflicts, as they feel the situation might escalate because of their presence.” Many nations fear involving UN Peacekeepers as they feel ‘rebel’ elements may feed on the government’s inability to resolve the crisis. To understand why UN Peacekeepers are never welcomed, you have to look at Syria. Since the national demonstration against Assad on 15th March 2011, Syrians have been involved in constant fighting, protesting and public demonstrations against Al Assad. By April 2011 the civil war worsened as opposition forces, which comprised of defected soldiers and civilians, resisted without central leadership. Today the Syrian civil war is out of control; the government has lost control over the situation, millions have been displaced with casualties increasing as the situation escalates. The question is when will more UN peacekeepers be called in? The US and UK have clearly declined their support for UN peacekeepers on the ground as they fear “more boots will escalate the already deteriorating situation.” Washington believes that if the US intervenes in a conflict zone, the situation may damage the ‘credibility’ of the UN and will undo all progress made by western aerial raids. Talking to local media Russia’s foreign minister Sergei Lavrov said “it is unacceptable to use force in international relations, especially by the countries who consider themselves leaders of civilisation” which clearly means that Russia does not agree with UN Peacekeepers on the ground. There has been no official decision taken on the UN’s stand in Syria, however the opinions coming from world leaders appear to be divided in this matter. Although UN Peacekeepers are deployed to prevent the escalation of conflict, there are many instances in the past where Peacekeepers have failed to isolate the situation. In 1994, UN Peacekeepers were sent to Rwanda, where genocide had taken many lives. Inspite of maintaining peace and security they waited and watched as Hutus slaughtered some 800,000 Tutsis. They simply could not control the situation. Another example of their failure occurred in Bosnia in 1995. The UN Peacekeeping soldiers were successful in clearing the rebels from the land and declaring the region safe for Muslims, but they didn’t stop Bosnians as they poured into the region again, driving Muslims out. Around 40,000 women and children were ordered to leave the nation. With nowhere to go and no chance of survival, many died due to starvation. The Dutch Peacekeepers who were sent to control the area couldn’t do anything to help and were forced to witness the biggest ‘ethnic cleansing’ since World War II. When UN peacekeepers were deployed in 2010 in the Democratic Republic of the Congo, high expectations were set by the government for them to maintain security in the region. Instead, 500 women and children were raped and murdered by rebel militia as Peacekeepers stood by and did nothing. This is one such example which makes me realise that a government is better equipped in handling peace and security during conflict. The intervention of UN Peacekeepers is one of the topics that is widely discussed on the international arena, some decisions being difficult to take, as we have seen from Syria. UN Peacekeepers do take charge of the region and their response mechanism towards a conflict is quick, however the situation escalates when the government leaves everything on the Peacekeepers. If we were to flip the same argument though, UN Peacekeepers are sufficiently equipped to de-escalate the intensity of the conflict and should be allowed to intervene. Anant Mishra is a freelance Writer and Journalist having had work published in numerous publications worldwide. He is also a former Youth Representative to the United Nations.